"MORENOS PLAZA SHOPPING CENTER FOR SALE INCLUDED RESTAURANT OPERATE FOR 21 YEARS. 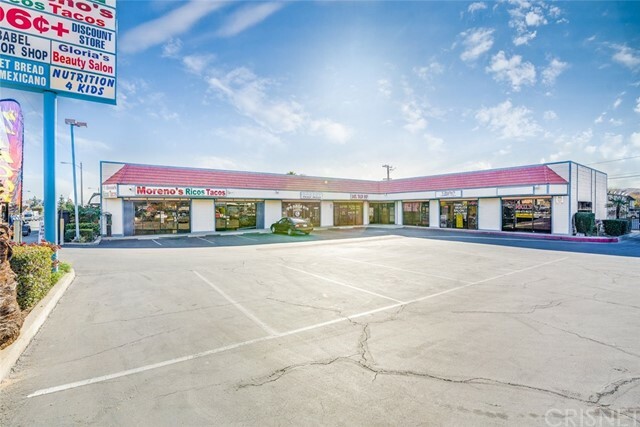 Excellent location in the North of San Bernardino. Owner has established their Mexican Restaurant for 21 years, included with liquor, tobacco, and wine license. 90% of the tenants has been established for more than 10 years, All of them are in month to month contract. Building has 9 units and 28 parking spaces. Now in the shopping center operate Morenos Rigo&apos;s Taco, Babel Tailor, A church, Bakery, 99 cents store, mary kay office, and more....Excellent opportunity. Rare to find. older owner needs to retire, only reason for sale. Owner has this shopping center for more than 20 years. Recently remodeling everything is upgrade.